These lovely books, with gorgeous illustrations by Amy Zhing, are a testament to these important people. Children will love the novelty of the glittery, die-cut heart and reading all about how their mum, grandma and even unicorns show love in lots of different and unique ways. Mums have a very special place in a child’s life and heart! The way they show love is beautiful and should be treasured. This book sheds light on this kind of love. Heart-shaped die-cut feature on the front cover. Gorgeous illustrations by Amy Zhing really bring the adorable animal characters to life. Children will love the novelty of the glittery heart and reading all about how their mum shows love in lots of different and unique ways. Grandmas have a very special place in a child’s life and heart! The way they show love is beautiful and should be treasured. These books shed light on this kind of love. Heart-shaped die-cut feature on the front cover. Children will love the novelty of the glittery heart and reading all about how their mum shows love in lots of different and unique ways. Princess Kitty may have everything, but she feels lonely. 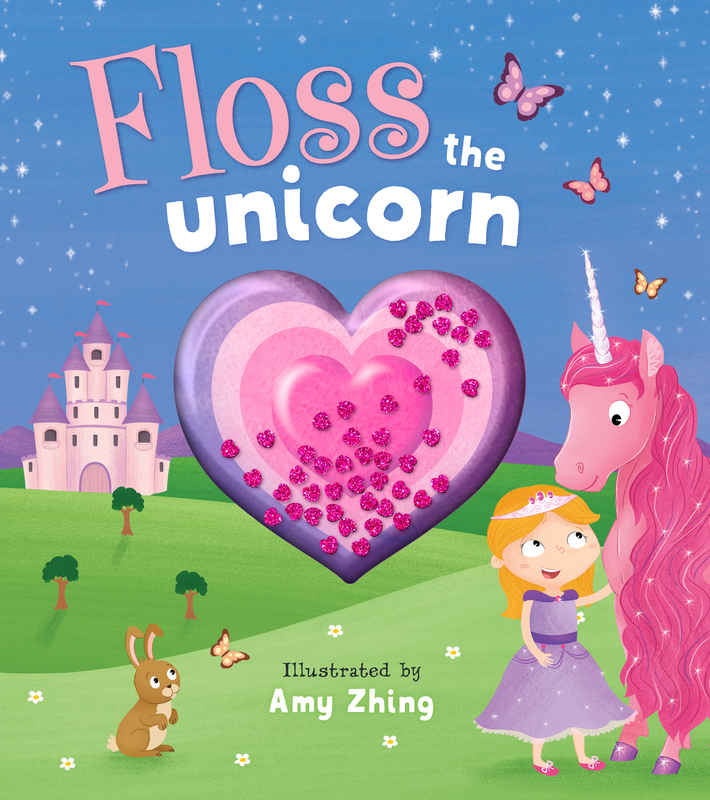 When she finds Floss the Unicorn, everything changes. Read about this young princess and her unicorn best friend, and how they make each other’s lives better. This delightful storybook, illustrated by Amy Zhing, comes with a glittery pouch in the shape of heart inside its cover. This feature adds a lovely, visual touch to the already beautiful artwork.